Hello, my name is Ginnie, I don't drink coffee but I have a major addiction to espresso salt. MAJOR. And this is my way of cheating...SO GOOD! Anyway, I started the Whole30 challenge which is seriously forcing me to be a little more creative in the breakfast department. It's hard peeps. 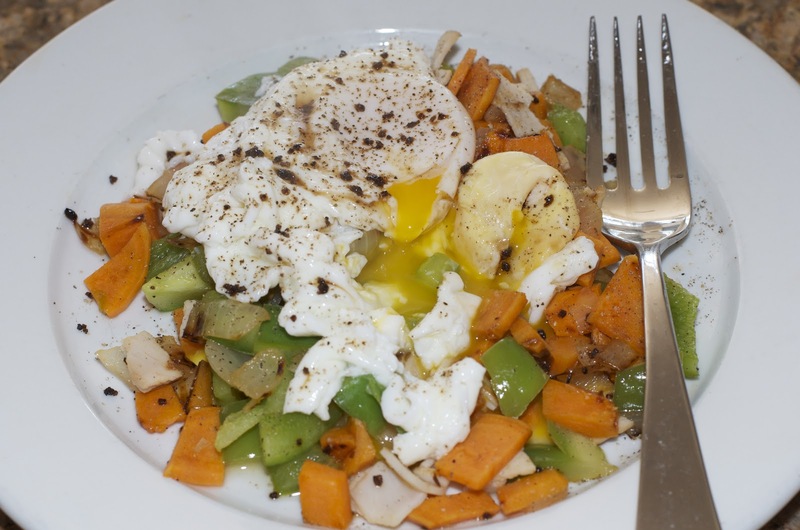 I make my kids a great breakfast (they don't follow paleo, but I try to implement as much as I can...sure wish I would have been following it years ago or it wouldn't be a problem. My two year old loves paleo!) Anyway, for me it is usually some variation of a scramble or my paleo bread with almond butter. What I really love, though, are poached eggs. I am an Eggs Benedict girl (which, by the by, I am getting that recipe up next). But I don't have any ham or bacon out right now, and I happened to have a few halves of vegetables left over, so this is what I came up with. Heat the oil in a 12 inch.fry pan over medium high heat. 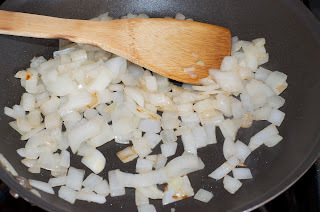 Add the onion, stirring often, and cook until translucent, about 5 minutes. 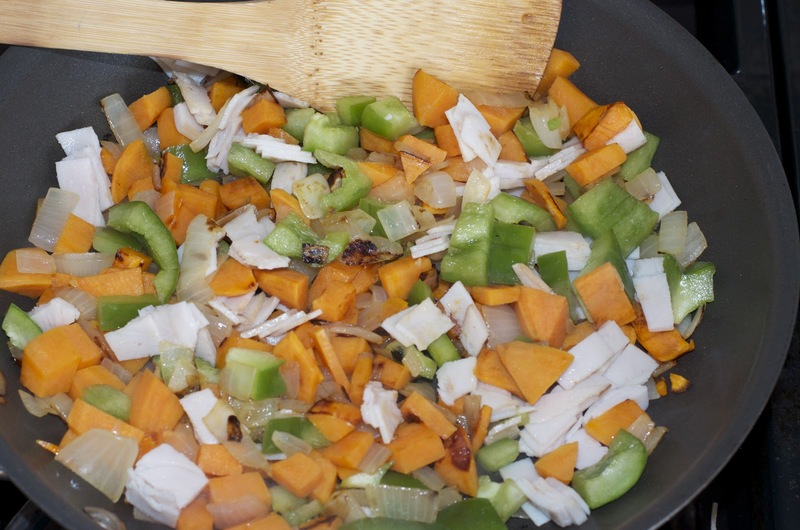 Add the sweet potato, cover, and cook for about 3-5 minutes more or until the potatoes start to soften. Add the pepper and turkey, and continue to cook over medium low while you poach the eggs. Poaching eggs by hand doesn't make them the prettiest, but it does cook them best. Get a sauce pan that can hold enough water for two eggs. Heat the water over medium until it is really steaming not yet at a boil. 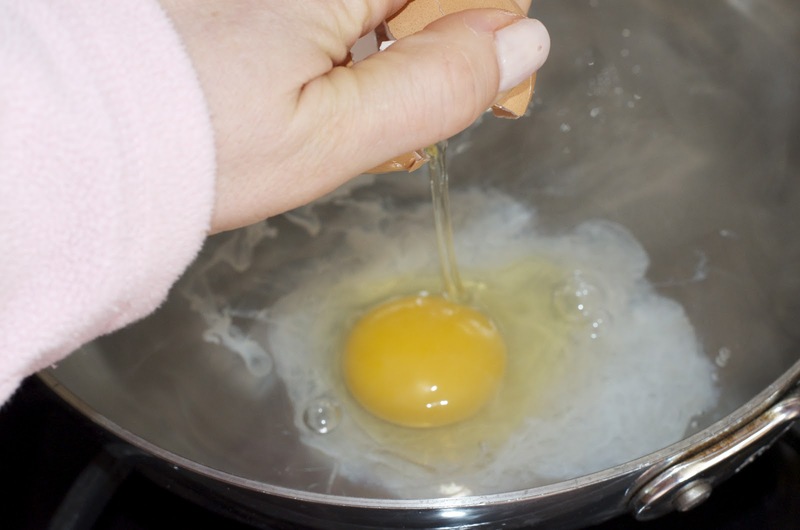 Add one egg, and slowly use a spoon to pull the egg edges so they remain in a semi circle, after about 15-30 seconds, slowly turn the egg over. 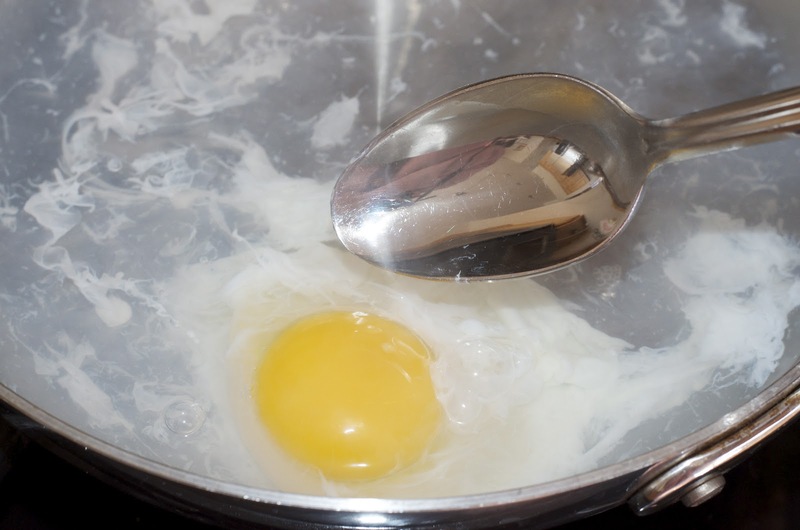 Once the egg whites start to set a little, add the other egg, doing the same thing. Cook to your desired doneness. I like mine what I call medium rare, just like beef. Whites cooked, yolk hot but hasn't started to set yet. 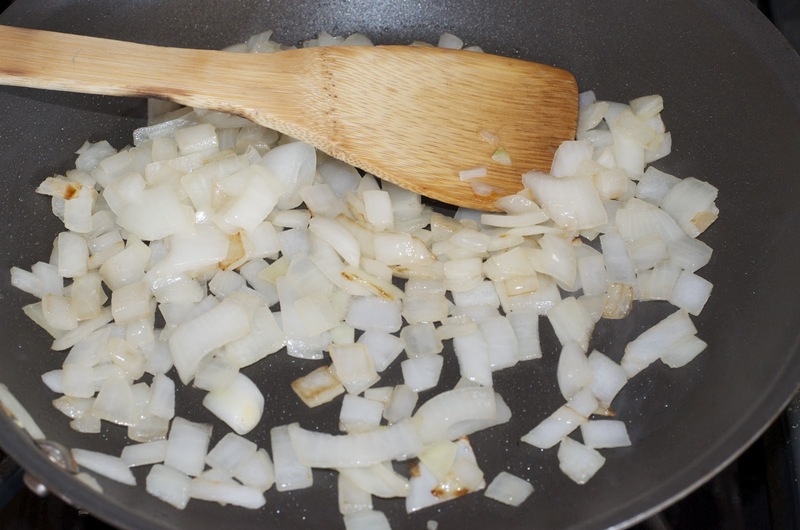 Remove with a slotted spoon and place on top of the hash mixture. Salt and pepper to taste. I was totally missing thyme in this dish. I went to grab my little freezer bag and it is gone. Don't remember when I used it all, but it would have been a good addition. Also, the hash is enough for two servings. So save some for the next day! Or freeze it and use it another time!